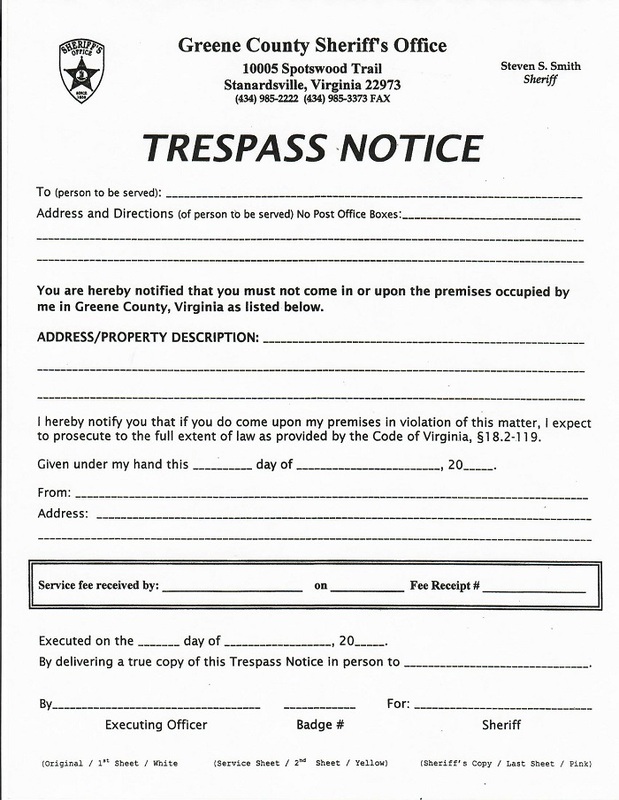 Trespass Notice forms are located in the Sheriff’s Office. You must fill out the 3-part form in person, giving authorization for the notice to be served to the individual who has trespassed. The cost to have the paper served is $12.00.